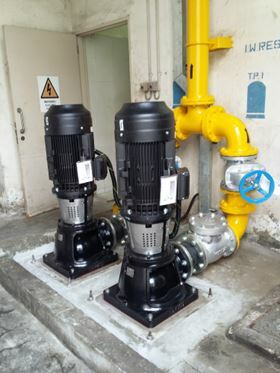 The 10” Rovatti pumps have AISI 316 stainless steel shafts and impellers, and are driven by 50Hz electric motors. The Tuas South Incineration Plant, the fourth and largest refuse incineration plant in Singapore, was completed in June 2000 and is designed to incinerate 3000 tonnes of refuse daily. Rovatti Pompe has supplied a number of pumps for a primary irrigation and water supply system for Angola’s Fazenda agro-industrial project.